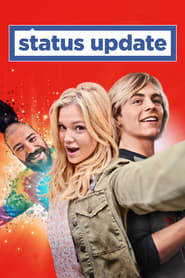 Over 90 minutes pass before any character utters anything remotely sensible in “Status Update,” as the protagonist’s no-nonsense mother counsels him to stop worrying about social media: “It’s everybody’s highlight reel of what they want you to see: bulls—t with a filter on it to make it look pretty.” Those words might ring truer in a less antiseptic and artificial context than A Christmas Switch Scott Speer’s tapioca-bland high school comedy, in which the notionally modern high concept of a magic cellphone app — one that instantly makes our hero’s every status update come true — merely facilitates an age-old “careful what you wish for” fable, in which familiar lessons about staying true to yourself and your friends are learned. Landing in U.S. theaters just a week after Speer’s similarly teen-targeted “Midnight Sun,” this plastic, “Glee”-inflected throwaway will thereafter make a swift transfer to VOD — if ever a film demanded to be viewed on a phone, it’s this one. 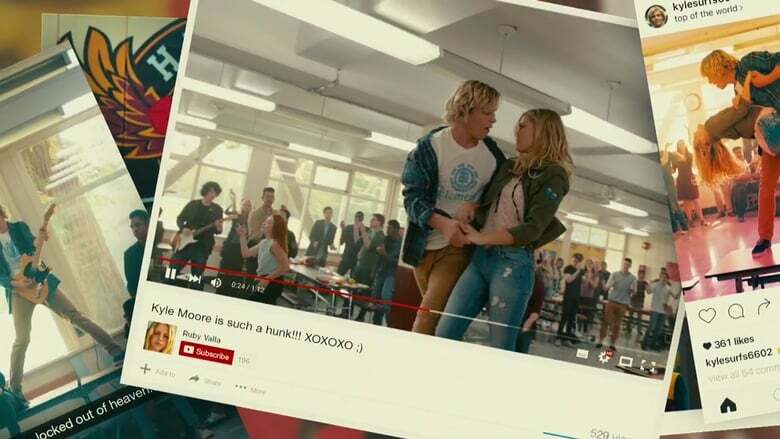 Screenwriter Jason Filardi’s last big-screen credit, the 2009 Zac Efron vehicle “17 Again,” was a comparable adolescent fantasy — and give or take the odd reference to Snapchat culture, his script for “Status Update” feels like it’s been in a drawer since around that time. Nothing in Zeroville the way the film’s teenagers speak, style themselves or socialize feels particularly of the moment, even relative to such other clean-cut, post-millennial mall movies as “Love, Simon.” Even its nods to technology feel just off: Facebook, the social network referenced in the film’s title and key plot device, belongs principally to the generation preceding this one. Do kids even post status updates any more? If they don’t, to be fair, 17-year-old Kyle (Ross Lynch, in what can only be described as a drastic change of pace from the title role in “My Friend Dahmer”) is given a pretty good reason to revive the trend. A shaggy-haired Californian surfer dude thrown out of his element when his mother (Wendi McLendon-Covey) splits from his feckless dad (Rob Riggle) and moves the family to New England, he initially struggles to find a place in the new, snooty social order. Falling foul of the jocks led by preening hockey captain Derek (Gregg Sulkin) and befriending only awkward social outcast Lonnie (Harvey Guillen), he finds his fortunes rapidly improve after an encounter with an eccentric cellphone salesman (Josh Ostrovsky), who signs Vice him into the uncanny online world of U-Niverse, a mysterious app that effectively turns his phone into a 21st-century Aladdin’s lamp.